This packages starts & ends in srinagar cover sacred amarnath yatra from sonamarg route. 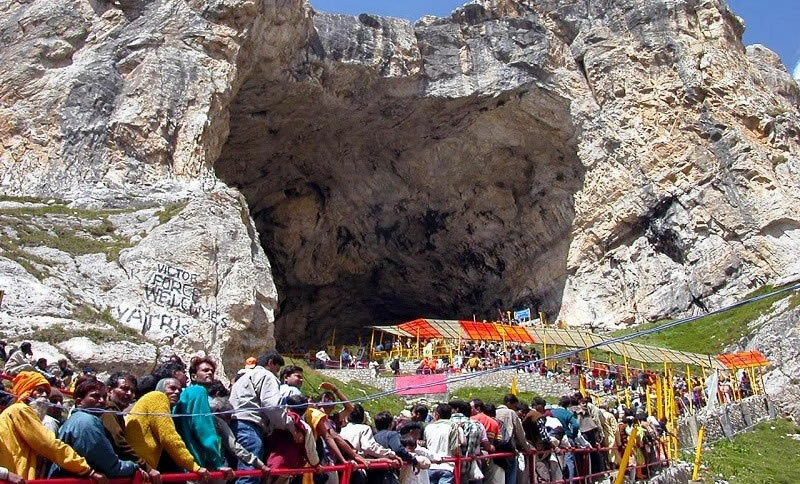 Amarnath is at very high altitude, so it is not fully connected via road. It is possible to travel to Jammu, then to Srinagar and reach Baltal or Pahalgam. Moreover Baltal is the shortest, but rather difficult, trek up to Amarnath. Pony and palky can also be hired. From Baltal, the journey from Amarnath is from 1 to 2 (15 km). The Pahalgam route takes, however, 3-5 days (36-48 km), which is relatively long. Do i need to register for amarnath yatra? 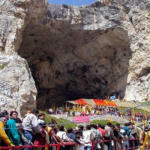 Is any age limit for amarnath yatra? No one below the age of 13 years or above the age of 75 years and similarly no lady with more than six week’s pregnancy shall be registered for the Yatra. Is Yatra Permit Valid for one person? yes, One Yatra Permit is valid for registering only one Yatri. Is there fixed per day quota? Each Registration Branch is allotted a fixed per day/ per route quota to register Yatris. Is Health Certificate (CHC) compulsory? For Yatra Permit What Documents are required? On your arrival at Srinagar airport, after meet and greet our diver will be take you directly to Sonamarg, after reaching Sonamarg, spend day at leisure, Overnight stay at Sonmarg. After breakfast, our driver will take you to Baltal base camp where you will be transferred to panchtarni via helicopter, after you Amarnath ji darshan you will be transferred to Srinagar, overnight stay at Srinagar. Day 3: Srinagar local Tours. After breakfast, visit famous Dal Lake, mughal gardens, Nishat garden, Shalimar garden, Chashmashahi, Parimahal, overnight stay at Srinagar. After breakfast, we our driver will take you to airport / TRC for your next destination / home.